Power Steering System going bad. systems. So, what does it mean for your steering system to go out? Here are some things to look for: The LOOK OF THE POWER STEERING FLUID, if it’s old it can cause the fluid to gum up which can lead to power steering failure. New fluid is colored red and the odor is very distinctive. Bad fluid looks dark gray, if foaming or bubbles, water or air is possibly in the steering line. Flakes of chrome in the fluid is another indicator. 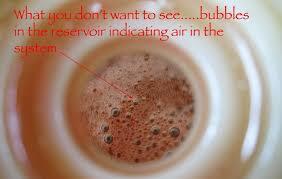 If FLUID LEVELS ARE LOW that can indicate a leak that needs repair somewhere in the system. You usually can see or smell the fluid. SQUEALING is not a good sign. When turning if you hear the squeal, if means the power steering pump is failing. If you hear a clunking or chattering(squirrels??) under the hood, another indicator pump is going. VIBRATING STEERING WHEEL either your steering is choppy or jumps the belt can slip off if it needs the right tension. The power steering pump can fail because the pulley is not properly working. Belts are checked, we make sure it has the right tension and can have cracks in it. HARD STEERING if you are increasing your effort to steer followed by pump noise, the low ail can cause a loose pump belt or bad power steering pump.